Since 1995 A Cut Above Exteriors’ siding contractors have served Beaverton Oregon homeowners with award-winning customer service and high-quality siding installation. Our primary goal is a great customer experience as well as a beautifully updated home because when you’re happy we’re happy. 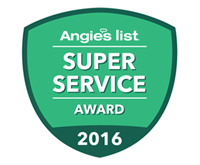 A Cut Above has won more than 12 Angie’s List Super Service Awards for customer service. Why do we keep winning customer service awards? Give us a call today to find out! Call 503.334.0733 for a free estimate. 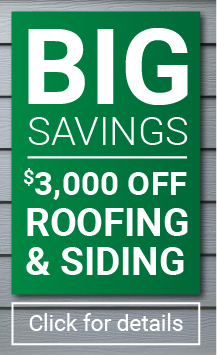 Replacement Siding Contractors With A Lifetime Warranty! Most siding contractors will only leave you with a product warranty, a warranty supported by the manufacturer. If you have a problem you take it to them. At A Cut Above all home siding replacement projects come with a Lifetime Transferrable Craftsmanship Warranty. You can rest easy knowing if there is ever an issue with your siding installation we’ve got you covered. Why is a lifetime craftsmanship warranty so important? Even a high-quality product with a great warranty will not be honored by the manufacturer if the siding installation was done wrong. In fact, the vast majority of product warranty issues are the result of mistakes in installation so in many cases the product warranty is worthless. So, we guarantee if a mistake is made during the installation process A Cut Above’s Lifetime Craftsmanship Warranty will have you covered. We offer our warranty with confidence knowing our siding installation teams are highly trained and detail oriented. For details on our lifetime craftsmanship warranty, read more here. After evaluating all the siding products on the market we selected a variety of high-quality siding products to offer our customers. To find out more about choosing the best siding for your home call us for a free consultation. Call today at 503.334.0733 for a free consultation and estimate. A Cut Above is a leading Beaverton siding contractor. Our goal is to transform your home so it is more beautiful, more comfortable, and more valuable. That’s probably why we have won more than a dozen Angie’s List Super Service awards for outstanding customer service. Call us today at 503.334.0733 for a free estimate and consultation. We’ll show you our premium selection of quality cedar, durable hardiplank, and stone siding products and help you decide what style is right for your home. Beaverton was named after a body of water created by Beaver dams. Early settlers referred to the area as Beaverdam. Beaverton is at the heart of the technology hub known as the Silicon Forest, nearly 300 tech companies call Beaverton home. Beaverton is also the home of Nike world headquarters. Give us a call at 503.334.0733 for a free consultation and estimate.